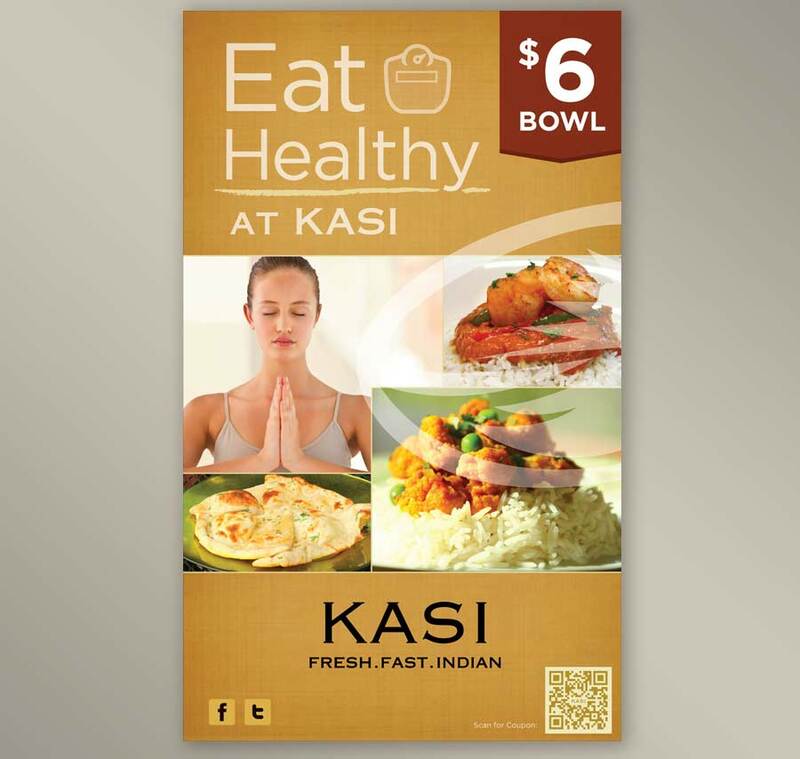 The Challenge: After opening three restaurant locations in San Diego County, KASI Indian Restaurants was ready to upgrade their initial menu board designs and other interior elements. With a growing library of new food photography, increasing readability and adding images to the menu board were top priorities. 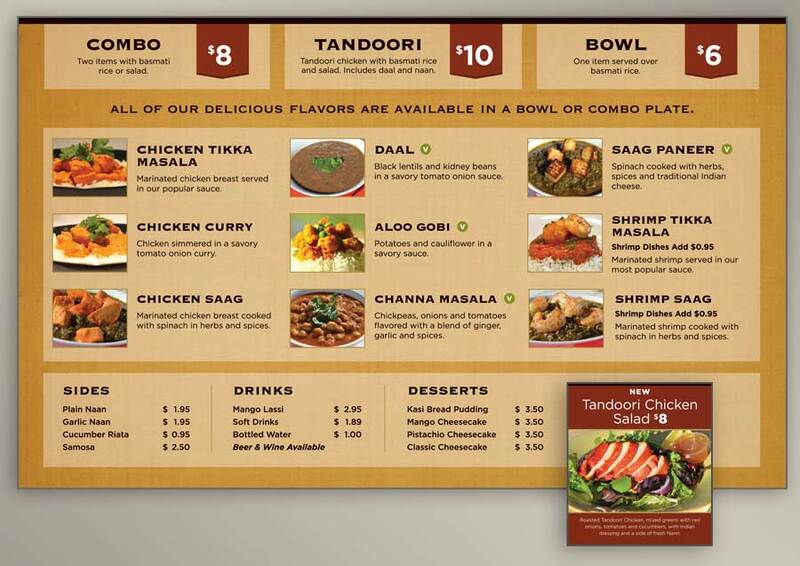 The Solution: The menu board was designed to maximize the available wall space, with bold price boxes and colorful menu images. 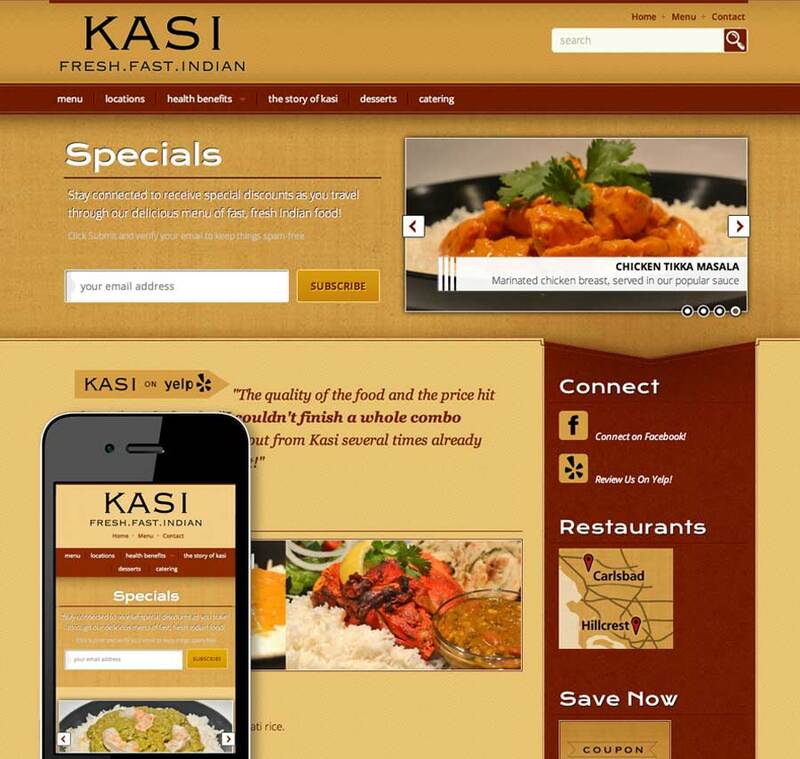 A vegetarian icon highlights the many healthful dishes. 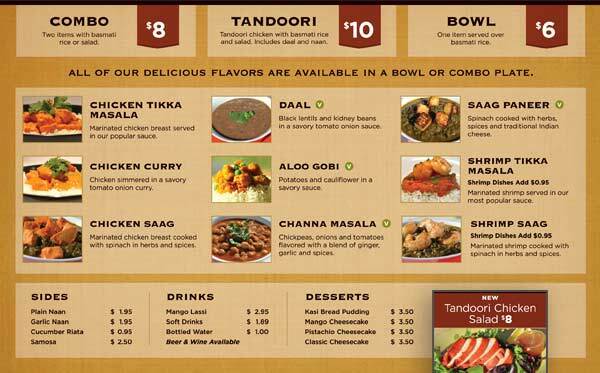 A separate poster at bottom right showcases new menu items and periodic specials.